Theanine Serine contains the amino acid L-theanine, to support relaxation and focused attention, and the calming neurotransmitter GABA. 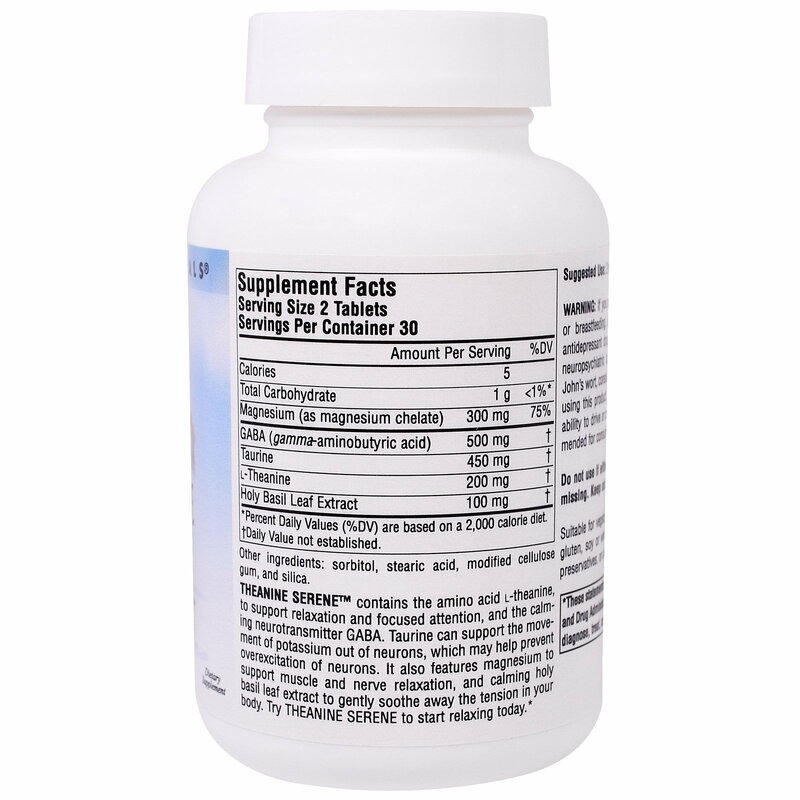 Taurine can support the movement of potassium out of neurons, which may help prevent overexcitation of neurons. It also features magnesium to support muscle and nerve relaxation, and calming holy basil leaf extract to gently soothe away the tension in your body. 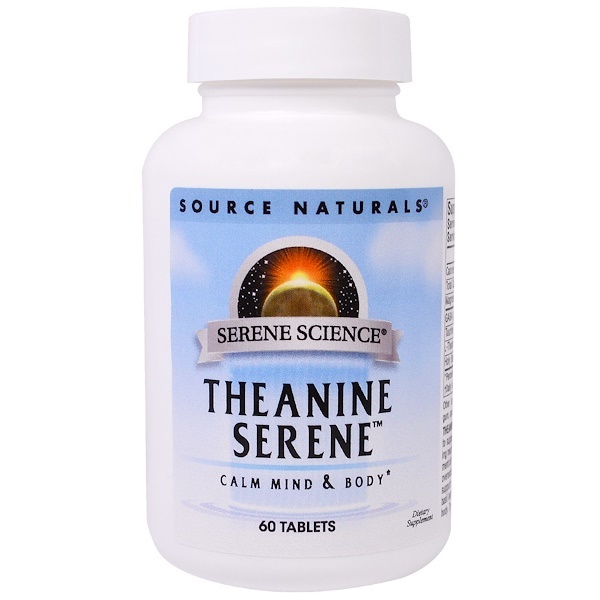 Try Theanine Serine to start relaxing today. 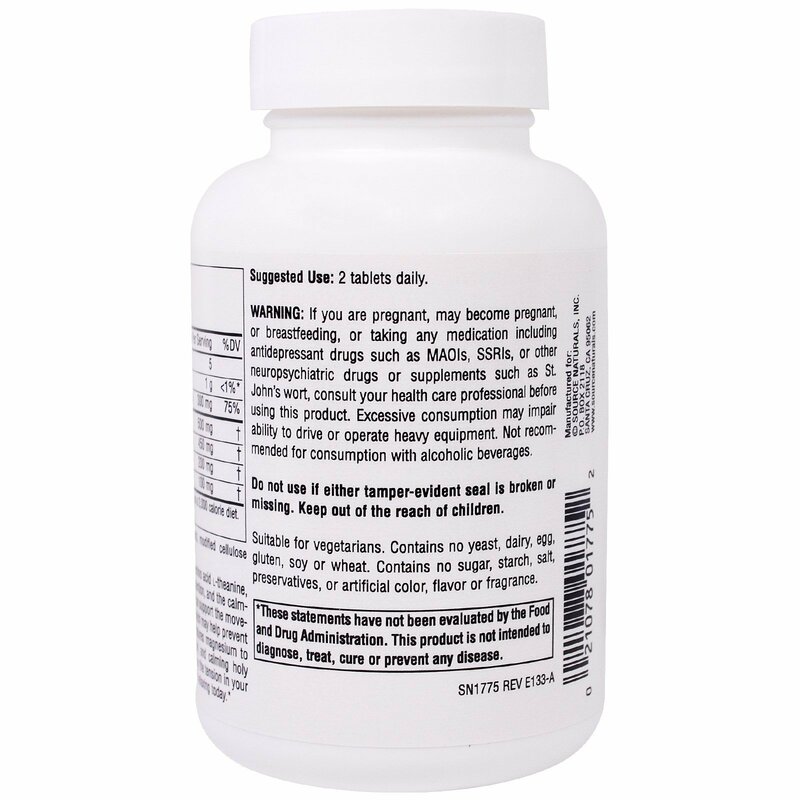 If you are pregnant, may become pregnant, or breastfeeding or taking any medication including antidepressant drugs such as MAOI's, SSRI's, or other neuropsychiatric drugs or supplements such as St. John's wort, consult your health care professional before using this product. Excessive consumption may impair ability to drive or operate heavy equipment. Not recommended for consumption with alcoholic beverages.